리마의 역사적 중심지에 위치한 Hotel Continental Lima는 메인 광장에서 400m 거리에 있으며, 무료 Wi-Fi가 갖추어진 객실과 조식을 제공합니다. 호텔에서 미라플로레스 해변이 15km 거리에 있습니다. 목재 가구로 장식된 Continental Lima Hotel의 객실은 TV 세트와 전용 욕실을 갖추고 있으며, 모든 객실에는 대형 창문이 설치되어 있습니다. 매일 유럽식 조식이 제공됩니다. 레스토랑에서 다양한 요리를 맛보실 수 있으며, 바에서는 음료와 커피 서비스가 제공됩니다. 24 시간 운영되는 프런트 데스크에서 18km 거리에 있는 호르헤 차베스 공항 셔틀을 예약해드립니다. 플라자 산 마틴(Plaza San Martin)은 450m 떨어져 있습니다. 매우 저렴한 호텔로, 그냥 공항 가지 전 날 하룻밤 잠시 머무르면서 쉴수 있는 호텔로, 잠만 자기에는 괜찮음. The customer service also could help guest to arrange their travel schedule even the join tour. Perfect location for historical quarter but the noise from the cars blaring horns all night resulted in no sleep. Something the hotel can't fix so it's a shame to state that noise from outside ruined my stay. Hotel was clean, staff amazing and a good breakfast. All the central Lima sites are on your door step. Hotel is a little worn but the room was a good price. Great location close to alot of restaurants. 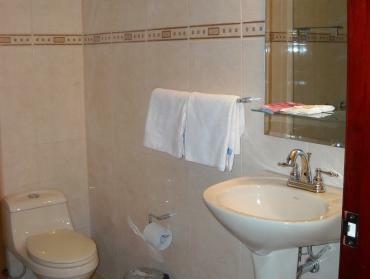 Walking distance to plaza del arms. And 1 block to alot of shoping areas. Stayed there on the way to and from cusco and the first time had a standard room but the second had the superior room.and it was much better. The hotel is cheap and If you want to stay for saving the money, it will be O.K but I don't recommend to stay with girl friend. 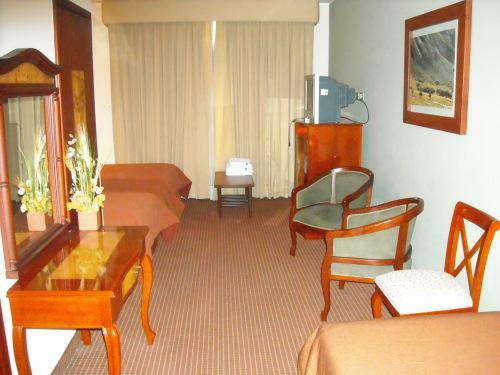 continental hotel is situated in between plaza mayor and plaza san martin, perfect location to walk between these two squares via the walking street lined with shops and some eateries. while most tourists tend to stay at miraflores, which i also did on my first day in lima, it is boring compared to staying near plaza mayor where the locals hangout and there are so much to see at the two plazas. don't forget to catch the changing of guards at the presidential palace (plaza mayor)taking place at 5pm daily, it's a fanfare not to miss. it lasted for one hour with matching band and the guards doing the fancy formation show while throwing their rifle at one another, later mingling with the crowd for photo-taking. back to rating the hotel, room is kinda dated but for the price it's alright. 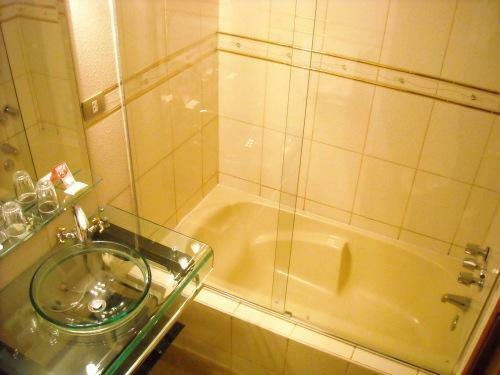 tv has good enough cable channels, bathroom is clean and shower works well. only that you can hear what your neighbours is saying when you are in the bathroom due to air vent that links the two rooms. so in a way, it's not soundproof but well you won't be sleeping in the bathroom so it's ok.
hotel is located in historical center of lima. easy walk to major attractions. supermarket is nearby. staff are very helpful. originally we were given a room near the elevator, but it was too noisy that we couldn't sleep. they kindly moved us to another room the next day. 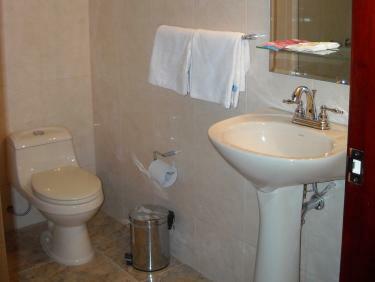 overall this hotel is excellent value for money with great location. will stay here again. The taxi driver seemed nervous when he dropped us off at the hotel and moved our bags straight into the lobby rather than have us carry them on the street. We also paid him there. This made us nervous about staying in the area, but our experience was very different. The hotel itself was great for the price. 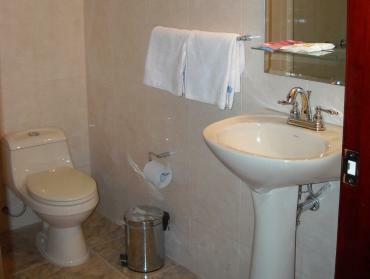 It was clean and the room and facilities were pleasant, the staff were nice too. It's right in the very centre of the city and people say it's not safe, but we didn't experience or see any problems. The hotel was actually very convenient and comfortable and the area seemed fine. it was clean and quiet. they have wifi in the rooms that you need a code to access. the staff all spoke english well. breakfast was small but ok. airport pickup was pricey it would have been less than half the price to get a safe green cab from the airport. it is close to groceries, restaurants and the squares. Staff were very helpful. Quiet residential area. Too far from everything. (Miles to a restaurant in the evening.) Breakfast was 2 bread rolls, small glass of packaged orange juice and really bad coffee. Would not return because there are better places closer to amenities at lower price. Cannot complain for the price. Well located if you like to stay near the middle of down town. The area for breakfast to small when they have people of conventions. Spent the extra $8 got the deluxe room with extra large king bed which was comfortable. Good coffee in the morning. No real complaints for what we paid for great value and no a bad area at all. The only thing there appears to be no heat in the rooms so a little cold in the morning but not a big deal. I would highly recommend this hotel. As mentioned earlier, the location was just perfect. Close to everything, yet far enough away from the disco's and their noise. The food was amazing. Great value for the money. The staff, well they were just over the top. Extremely helpful, knowledgeable and almost catering to our every need. We bombarded them with questions and they helped so much. Good basic hotel. Nothing special. Staff was friendly and helpful. Bathroom noise carried to/from other rooms. Room was huge, but didn't need to be. Near the main square a short walk away. Far from other more interesting neighborhoods. I was greeted very warmly when I came through the door. The desk staff was friendly and accommodating. The room was comfortable yet basic. The location was very close to the historical center and within walking distance to places of interest. There wasn't much information about any amenities available. The Continental was not my first accommodation choice, but I feel that it was a good value for the price. My room was rather small, but it met my needs and I was very pleased with my stay. Should have more English speaking TV channels! We only booked this hotel based on some good reviews. It turned out to be a gem. The location is very central, walking distant of all the historical sites. Our room was spacious,bright,clean and was tied everyday. We arrived at 5.00am in the morning and were immediately given a room rather then waiting till their check in time. Very impressed! Breakfast was very hearty. It was continental, including fresh fruit juices, pasteries and fresh fruits. We just loved it. Free internet. The best thing about the hotel was the young lads at the reception in particular one called Christiano went out of their way to help us. We were so happy with the hotel and services that we have booked again for 3 days when we go back home at the end of our holidays. No weekness - I liked it. When I arrived the hotel, it was midnight around half past twelve, there were two attendants who greeted me, due to the long flight and tiredness, I forgot to show them my hotel voucher, they gave me the standard room instead of superior I have booked, the next morning, I tried to recheck with the counter whether there is some mistake about my room, why superior is so small? no chairs and table?, then I showed them my hotel voucher, the attendant said sorry to me because the one who admitted me made a mistake, the computer showed superior room, but that guy had overlooked, so I asked him what to do? he said because my room had already been paid, so I cannot refund, therefore I had no choice but to ask them to change my room, because I had make my own mistake as well. Oh my gosh !! the superior room is double size the standard, although there has no fridge, but the bed is King size and the room is spacious. The location of the hotel is just few minutes walk to the centre downtown area. 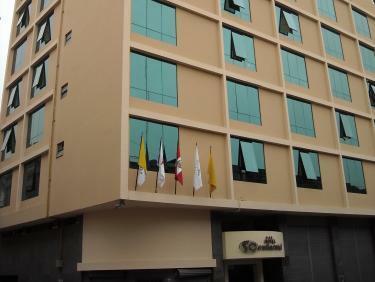 Central location Safe Modern and comfortable amenaties Clean and comfortable rooms Very economical compared to hotels in Miraflores Very helpful and friendly staff. Rooms were a little small. Had to check out early, so could not try their buffet breakfast. Excellent location at the heart of Lima downtown two blocks each from beautiful Plaza de'Armes and Plaza San Martin, with lots of local and tourist crowd. I felt safe during night and day, beacuse the hotel is just a block from a pedestrial-only street that is full of people, restaurants, fancy stores. Plaza de'Armes is also the location from where you can take an open double decker MiraBus to take a city tour, or enjoy festive atmosphere among the crowd. I spent one night, and was very pleased with my choice.